The National Examination Board for Occupational Safety and Health [ NEBOSH ] are a leading global organisation, which provides health, safety and environmental qualifications. NEBOSH qualifications are highly respected by governments, employers and students alike. They build the knowledge and skills which underpin competent performance as a health, safety and environmental professional. The full range of NEBOSH courses which we can deliver. NEBOSH Health and Safety at Work (3 day) Qualification – an introductory qualification designed to help improve the safety culture in your organisation, by equipping your workforce to identify and deal with hazards at work helping to reduce accidents and achieving cost savings for the business. NEBOSH HSE Certificate in Health and Safety Leadership Excellence – NEBOSH and the Health and Safety Executive (HSE), have jointly developed this one day health and safety qualification for senior business leaders or those aspiring to this role. The interactive, thought provoking content highlights the moral, legal and financial reasons for good health and safety leadership and offers guidance on the key areas to focus on to make a difference. NEBOSH National General Certificate In Occupational Safety And Health – This 12 day course is an examined core qualification for people who have health and safety as part of their role at work. Many people take the NEBOSH National General Certificate as a first step in a career in health and safety. It provides a valuable overview and is a sound basis for further professional study. NEBOSH International General Certificate in Occupational Safety and Health (Conversion) – This 2 day course is designed for those delegates who want to gain the NEBOSH International General Certificate in Occupational Safety and Health as a bolt on to their NEBOSH National General Certificate studies to maximise their career opportunities. 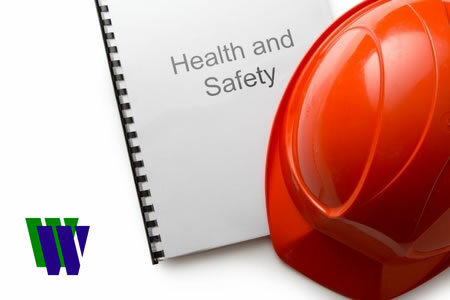 NEBOSH National Certificate in Construction Safety and Health – This 5 day “bolt on” course covers the main legal requirements relating to health and safety in UK construction work, including an understanding of the Construction (Design and Management) Regulations 2015. It includes identification and control of construction workplace hazards, and the practical application of this knowledge. NEBOSH Fire Safety and Risk Management Certificate – This 5 day “bolt on” course has been designed for managers, supervisors, employee representatives and others and aims to equip holders to contribute to the conduct and review of fire risk assessments and fire preventive and protective measures within most workplaces. NEBOSH National Certificate in Environmental Management – This 5 day course is an examined core qualification designed to provide a sound foundation in environmental management knowledge. It is aimed at managers, supervisors and employees based in the UK, who have responsibility for managing environment issues, as part of their day to day duties. The qualification focuses on UK law and environmental management systems. NEBOSH National Certificate in the Management of Health and Well-being at Work – This 5 day course is an examined basic qualification for people who have the management of employees health and well-being as part of their role at work. Such people include general managers, supervisors and HR personnel who have responsibility for, or involvement in, the health and well-being of employees as part of their day-to-day duties. NEBOSH International Technical Certificate in Oil and Gas Operational Safety – This 5 day course is designed specifically for those with safety responsibilities in the oil and gas industry. It focuses on international standards and management systems, enabling students to effectively discharge workplace safety responsibilities both onshore and offshore. NEBOSH National Diploma in Occupational Health and Safety – This qualification is for aspiring health and safety professionals and builds directly upon the foundation of knowledge provided by the NEBOSH National General Certificate. It is designed to provide students with the expertise required to undertake a career as a safety and health practitioner and also provides a sound basis for progression to postgraduate study. NEBOSH Diploma in Environmental Management – This qualification is designed for individuals with responsibilities for the management of environmental risk in relation to the damage caused by work activities. It will be invaluable for those aiming to develop and implement effective environmental management systems within their organisations.